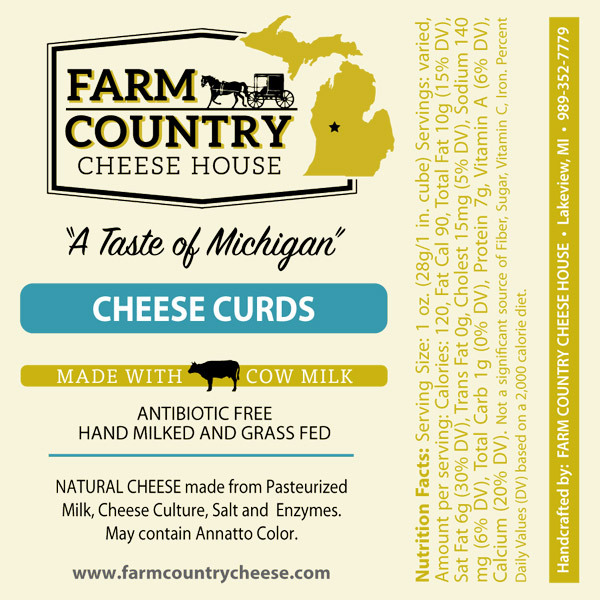 All of the cheese at Farm Country Cheese House is a curd prior to pressing in block form. We make about 4,500 lbs of curds per day. 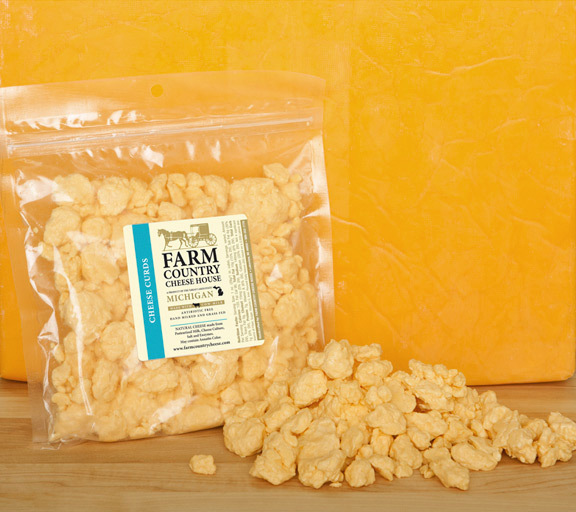 Our cheese curds are the freshest possible, garnered when the whey is drained off during the cheese making process. Our delicious curds are enjoyed plain and fresh, or are delicious fried. Many people refer to curds as “squeaky cheese.” Kids love it!